Choosing quilt colors can be one of the most difficult and intimidating processes for quilters, especially if trying to choose colors other than what is shown on a pattern. ZJ Humbach shares several tips for choosing quilt colors and selecting fabrics that can help the whole process go smoother and be more enjoyable. 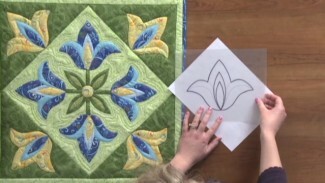 One of the first tips that ZJ shares for choosing quilt colors that match and compliment one another is to take a look around you- see that there is green grass and multiple colors of flowers and use that as color inspiration. She explains how this is a good example of how you can pair colors together that you may have initially thought were not going to match. ZJ also shares how you can get inspiration for fabric colors by going to the paint store. Auditioning colors next to one another use a paint chip sample card is much easier than trying to lay out bolts of fabric at a time. The paint chip sample cards also helps you see the different tints, tones and shades of a color and how they come together. 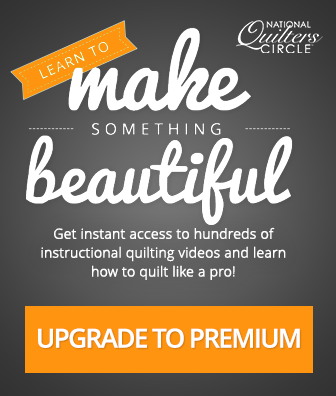 Using a color wheel to choose quilt colors can also be a helpful option. The color wheel can show you which fabrics are complementary to one another and which ones may clash. ZJ then shows several different combinations of fabrics and explains why they do or do not work with one another. She explains that when choosing quilt colors, it can be as simple as changing out one fabric from a group of many to make your colors pop and your quilt to look the way you want. She shows how adding a contrasting color or a brighter shade of a main color can act as a focal point whereas changing a background color can impact the entire design.